A truck accident can cause devastating injuries and even death. These types of injuries are especially traumatic because the trucks can weigh 20 to 30 times more than the other vehicles on the road. There are over 3.5 million trucks on U.S. roads each year. These vehicles are on the roads at all hours of the day and night. You should get in contact with an experienced truck accident lawyer as soon after your accident. When filing a truck accident claim, it is helpful to have as much evidence supporting your claim as possible. Detailed reports of your medical injuries from your doctor are necessary to properly estimate the number of damages you will receive. After an accident, your truck wreck lawyer will want corroborating evidence to support your side of the claim. Witnesses to the accident are a great source of information. Taking photos of the accident scene will also help your case and give a better understanding of your case. Truck accidents cause massive amounts of damage, leaving cars and other vehicles in disrepair. 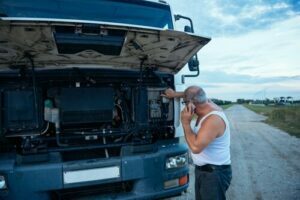 If you are injured in a truck accident and your car is damaged, you should get a quote for the repair costs to provide to your personal injury attorney Baton Rouge. According to the Louisiana statute of limitations, you have one year from being injured in the truck accident to file a claim. Being such a short amount of time, compared to other states, you should get in contact with a knowledgeable truck accident lawyer as soon as possible.